By default, most D-Link routers don't use a password when logging in to the router's interface. This is true for the DIR-600, too - just leave the password field blank. 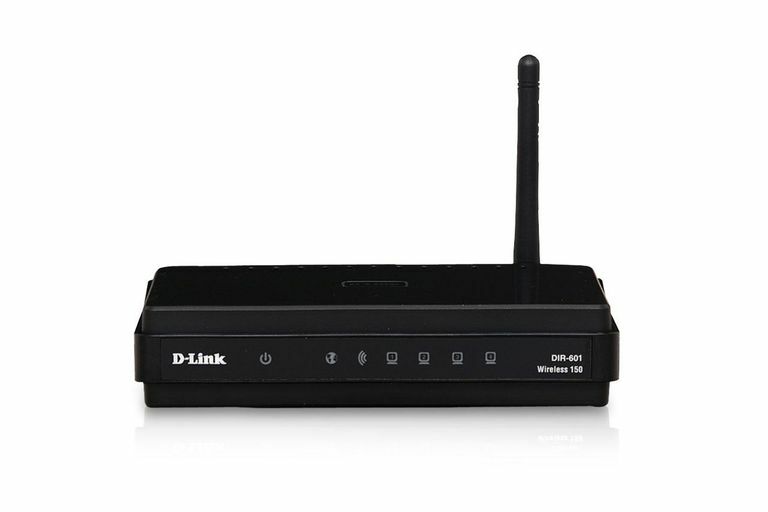 However, D-Link routers like the DIR-600 do have a username. The default username for the DIR-600 is admin. The default IP address for the D-Link DIR-600 is 192.168.0.1. Almost all D-Link routers use this same IP address. There's only one hardware version of the D-Link DIR-600 router, so the information from above is true for all D-Link DIR-600 routers. Help! The DIR-600 Default Password Doesn't Work! The credentials for the DIR-600 that we talk about above are only true right out of the box. What this means is that when you first installed the router, it's that username and password mentioned above that is used to log in. However, it's always recommended to change that information so that it's harder for someone to make changes to your router. Here's the thing, though - changing the default username and password for the DIR-600 means you must remember a new set of credentials instead of these default ones. Fortunately, though, you can just reset the D-Link DIR-600 router back to its factory default settings, which will restore the username and password back to what's listed above. With the DIR-600 powered on, flip it around so you have access to the back where the cables are connected. Take note of the RESET button next to the power cable. With a paperclip or some other small, pointy object, press and hold down that reset button for 10 seconds. After you stop pressing the button, wait around 30 seconds for the router to reboot. Once the cable light stops blinking, unplug the power cable from the back of the router for a few seconds and then plug it back in. Wait another 60 seconds or so for the DIR-600 to fully boot back up, and then be sure that the network cable is still firmly attached to the back of the router. Now that the D-Link router has been reset, you can use the default http://192.168.0.1 IP address to access the login page. Log on with the default username of admin like we mentioned above. At this time, it's important to change the router's default password to something other than admin, but not too difficult that you'll forget it. However, a great way to never forget your passwords is to store them in a free password manager - that way you can make a password as complex as you'd like without having to remember what you chose. Since resetting a router means that all the custom settings (like the username and password) are removed, it means even the wireless network settings like the SSID, guest network settings, etc., are removed as well. You'll have to re-enter that information. Now that you're able to log in to your DIR-600 once again, you should consider backing up the settings we just mentioned. After you make the changes you want to make, you can back them up through the router's TOOLS > SYSTEM menu, with the Save Configuration button. If you ever need to reset your router again, you can restore your custom settings through the same menu, but with the button called Restore Configuration From File. Help! I Can’t Access My DIR-600 Router! The router has its own IP address that you need to know in order to access it. By default, this particular router uses ​192.168.0.1. However, just like with the username and password, since this address can be changed to something else, you might not be able to reach it using the default information. However, any computers that are connected to the router have this IP address stored as what's called their default gateway. Fortunately, you don't have to reset the DIR-600 router in order to find out the router's IP address. Windows users can follow our guide on How to Find the Default Gateway IP Address for help. The IP address you find is the address you need to enter in your web browser to log on to the DIR-600 router. The D-Link website, specifically the DIR-600 Support page, includes everything related to this router. You'll find firmware downloads, FAQs, help videos, and more. There isn't a specific link to a manual for this router but the FAQs tab, found through the link in the previous paragraph, is full of helpful information like upgrading the firmware, resetting the router through the admin settings, and lots more.